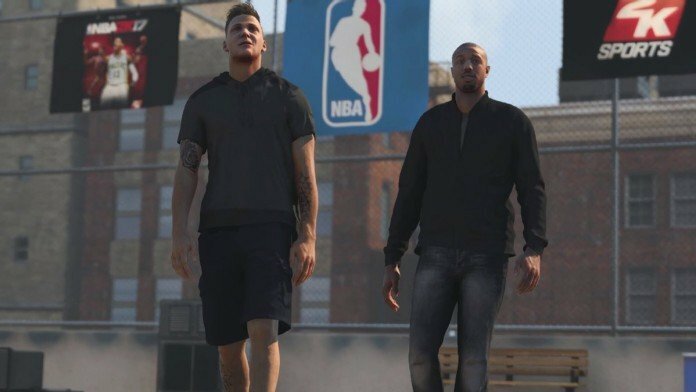 2K Sports are slowly turning the NBA 2K franchise into a real RPG and we have no reasons to complain! This year, they have introduced a buddy system with Justice Young and you can actually control him in the game thanks to the Dual Player Controls in NBA 2K17. The feature is called Orange Juice and I am here to share with you a complete guide to that! So… how to activate Orange Juice and Dual Player Controls in My Career? It’s pretty simple: keep working on your relationship with Justice and eventually you’ll unlock it. Orange Juice activates when you play together with Jus, allowing you to control him as well! You can also send commands to the player that you don’t control, basically giving you a lot of extra options in the game. And story-wise, things look really nice as it is for the first time in a basketball simulation game that you get to control 2 players instead of just one (or an entire team). But you are not forced to, so if you don’t care about this feature, you simply don’t have to use it! 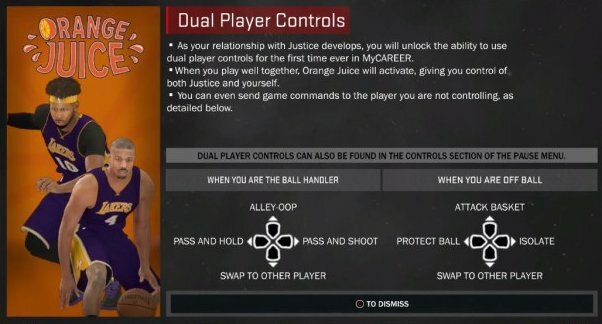 But let’s check out the NBA 2K17 Orange Juice controls below and see what instructions can we yell to Justice thanks to the Dual Player Controls to make our My Career better! What do you think about this feature? Does it help with the story and making you feel even more into the game or you couldn’t care less about it? Let us know by sharing a comment below!